Rigtrardia doubts if Social Security or Medicare united the country either. But the programs were greatly needed in their time. 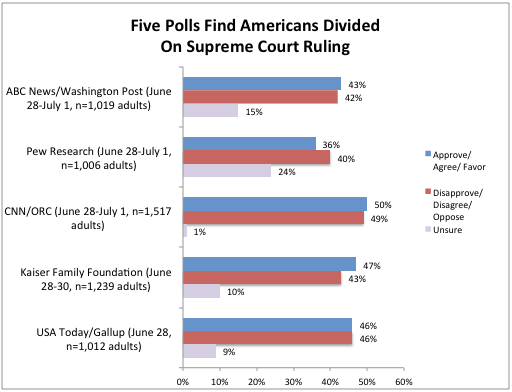 Republicans think the Supreme Court ruling will activate their base. Well, the ruling is just as likely to activate Democrats who were buoyant after the ruling.